Praying the Scriptures has been transformational in my own life. Praying the Word of God has given me words when I had none, encouragement & comfort through periods of depression, and joy on the journey. Join me as we pray 1 Scripture per day for our families! Each day we will read 1 Scripture passage, a prayer and pray these Scriptures for our families. There are journaling lines for you to personalize these prayers for your own family members or yourself. Included is a 31 day calendar to use if you wish to print/use this. To read more about how I pray the Scriptures, click here. Print off this 35 page PDF guide, place in a decorative or pretty notebook/binder, pair with a lovely candle and you have a unique gift for a NEW mom, or ANY mom that wants to be more intentional about praying for her family…even a praying grandmother would appreciate this, I believe. Give a gift that encourages PRAYER. I’m so excited that you want to join me in praying Scriptures over our family! 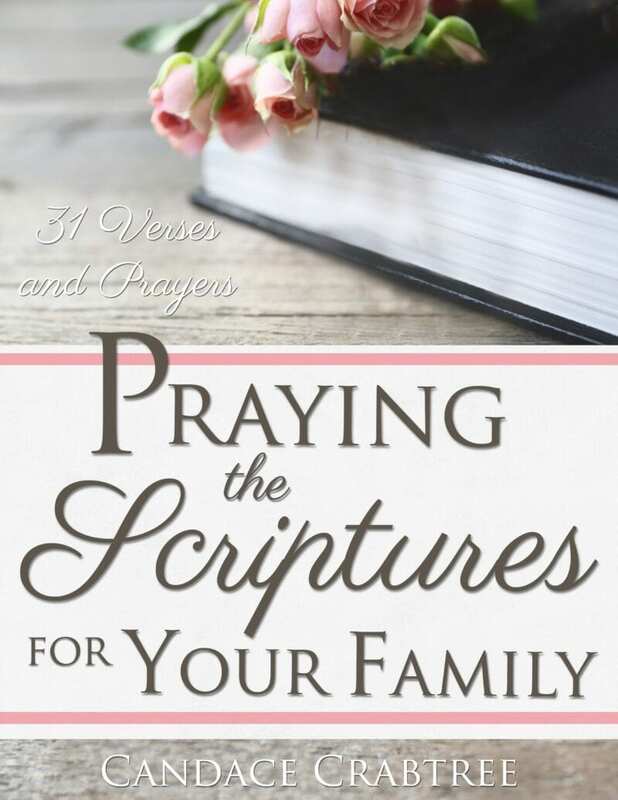 This small PDF, printable file is a series of 31 Scriptures to pray for your families, that I put together for a blog series. If you wish to have the entire series to print out, with journaling lines for your own prayers, this file is for you! Each day you will read 1 Scripture passage, a short prayer and spend time praying this passage for your family. There are journaling lines for you to use and personalize your own prayers. Included is a 31 day calendar that you can print if you wish!